← Postscript to the Postscript: Another Ship of Fools! and our prisons look like malls. It’s a bleak landscape, indeed. Like a stone thunderstorm, I think, surveying the damage from my favorite hill. I sit in the shade of some rocks on top of a nameless mesa in Nevada, a place I share with soaring red tail hawks, a playful murder of crows, and the lazy desert tortoise, watching clouds form on the updrafts of the mountains to the west. Below me, to the east, lies what was once a lush oasis of meadows and springs in the parched Mojave Desert. It was home to friendly bands of Shoshone and Paiute Indians who had relied for at least thirteen millennia on the underground aquifer lying beneath the valley floor to create the meadows which later lead Spanish conquistadors to grace the basin with its current name: Las Vegas. The Meadows. But today there are no meadows here. modern landscape, but I think he was having visions of Las Vegas—a la St. John’s Revelations—and thought only his own deeply troubled mind could produce such unspeakable images. But here it is, spread out below me like a graveyard of stars. coyotes go in to steal their trash on Wednesdays, and other than that the critters I share my hill with are perfectly fine with this arrangement. care to visit them in their native habitat—the coffee shop, or UC housing, or the dorm room which they are probably unaware has the exact same construction as a jail cell. No, I will sit on my hill and watch the clouds. government’s policy on “reeducating” Indians curiously mirrored General Pratt’s famous decree: “Kill the Indian in him, and save the man.” Sounds like the policy of killing the buffalo and saving the cow. their very sense of belonging to the world, the fundamental sense of oneness with all of nature—a crucial feeling of wellbeing and at-homeness of which hyper-mediated civilized life is so obviously bereft. art of being nourished by eternal, cyclical patterns—so that their way of life may go on forever. The elating hoot of an owl. The afternoon is getting on, and I’ve been daydreaming. What was my mission here? “Another division of the mind.” “Another division of the mind.” “Another division of the mind.” Oh yes, universities. 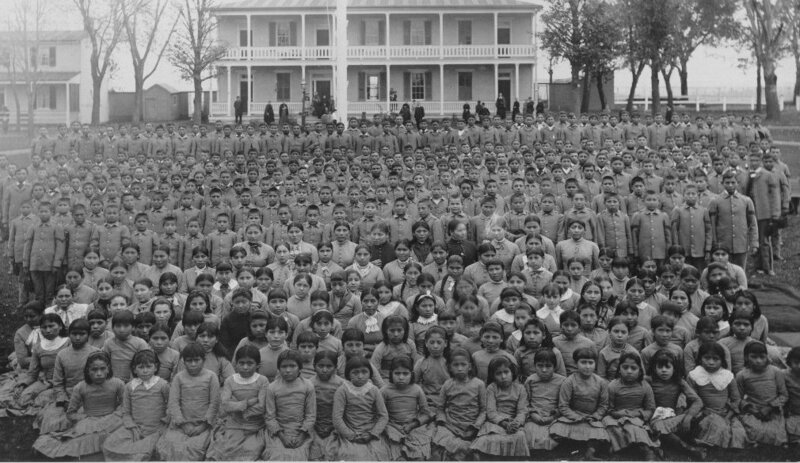 So what does the Hopi attitude towards education teach us about the role of the university in the quest for liberation? Anarchists seek to dismantle all forms of oppression, both inner and outer. How can the university nurture this ambition, when it is the highest stepping stone of the government school system which has such a bloody and brutal history? paradigm offer to anarchism, and how has it infected (sorry, effected) our way of viewing the world? And if academia is not the right place to look for knowledge, then where? and culture, how can this form of learning help us to free the world if we cannot free ourselves with it? How can we presume to know what is best for the world when we are not even out in the thick of it, in the grit and grime? Any talk of liberty in the university is speculative, like an abstract quantum theorem that no matter how complex cannot explain the beauty of a Shoshone sunrise ceremony. And no matter how much anarchists pour over tactics and dusty old rhetoric, an essential humanity is still lacking. The world they want to change is somehow unreal to them, and many of the demons they see come from within. The way of life which has guided humanity through countless eons of peace cannot be drawn on a chalk board, and true wisdom has no tuition. Clear sight cannot be bought and sold. Generosity, grace, and kindness cannot be graded like a test, and there is no graduation into life. The university will not give you warmth at night and food in the morning out of good heartedness and deep humanity, the way that the Hopi or Shoshone would. It’s all for money, money, money—just like all those other buildings I see from up here on my hill. Someone is sucking money out of them, like they sucked all the water out from under Las Vegas—“The Meadows”—and paved over the land with a living tombstone called a city. When it runs bone dry only the clouds will be left. Not a whisper of grass of a drop of water—all for nothing. There are some things you can only learn from an old timer on a street corner. Some things only a tree can teach you. In fact, I have often thought that there is nothing you cannot learn from a tree. A lifetime of staring up at the night sky isn’t enough for one to unveil all its secrets, and its mysteries demand just as much reverence as all the libraries in the world combined. The only way I have found real truth is by following laughter, and long trails that are wet with snow and tears. That way nothing is left out. I hold to the open sun and sit in the shade, the stones beneath me. Here I am. Everyone must follow their own path.